Will be an optional component for the right ascension axis and/or the declination axis of the Paramount ME II. Should allow all sky pointing accuracy (with TPoint) to 5 arcseconds or less. Axis always knows its orientation (no homing required). The Paramount ME II right ascension and declination axes are already designed to accept on-axis encoder hardware and cabling. Paramount ME IIs purchased before the on-axis encoders are available must be returned to Software Bisque for on-axis encoder installation. Must be installed by Software Bisque and cannot be installed by third-parties. Cost an estimated $3,000.00 per axis. Software Bisque will email all registered Paramount ME II owners when they are available. 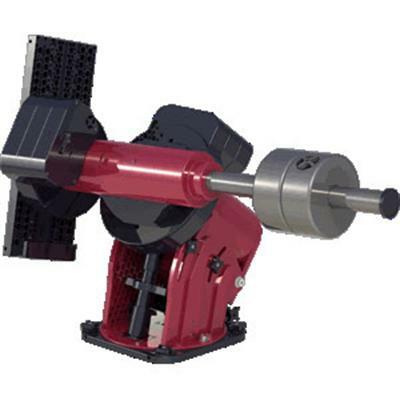 On-axis encoders will not be available for the Paramount MX Robotic Telescope Mount or the earlier generation Paramount ME Robotic Telescope Mount. Click the button below to add the Software Bisque Paramount ME II Robotic Telescope Mount to your wish list.